New for 2018, Hawke have introduced a brand-new binocular range, the Frontier ED X. Using a superior optical system, designed around ED glass, the Frontier ED X produces stunning colour retention, crisp definition and excellent light transmission. The benefits of the extra-low dispersion glass and first-class coatings throughout are clear to see. Controlled chromatic aberration eliminates colour fringing allowing all detail to be clearly visible, and dielectric prism coatings allow maximum light to reach the eye. Externally the hydrophobic lens coating offers continued clarity whatever the conditions. A robust high-performance optimally torqued hinge design, replaceable twist-out eye cups, high grade aluminium focus and dioptre dials and magnesium alloy chassis ensure this binocular can withstand all you throw at it. The exterior is wrapped in a durable high grip premium rubber armour. 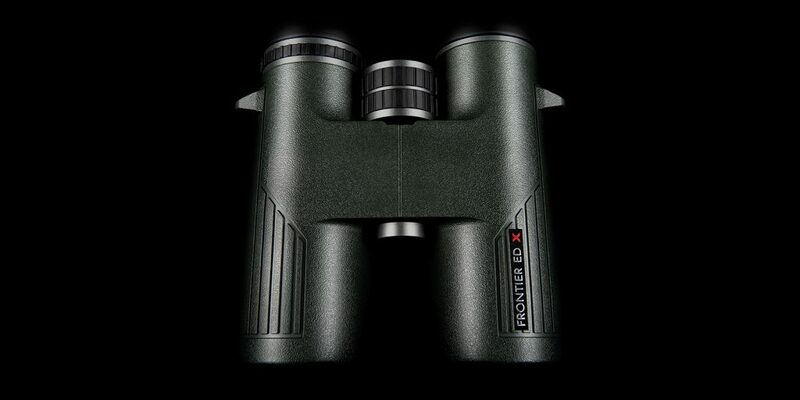 Available in a choice of green or grey body, in either 8x or 10x magnification, each Frontier ED X is supplied with a stylish hard sports case and comfort neck strap. For further information on the range please visit Frontier ED X.